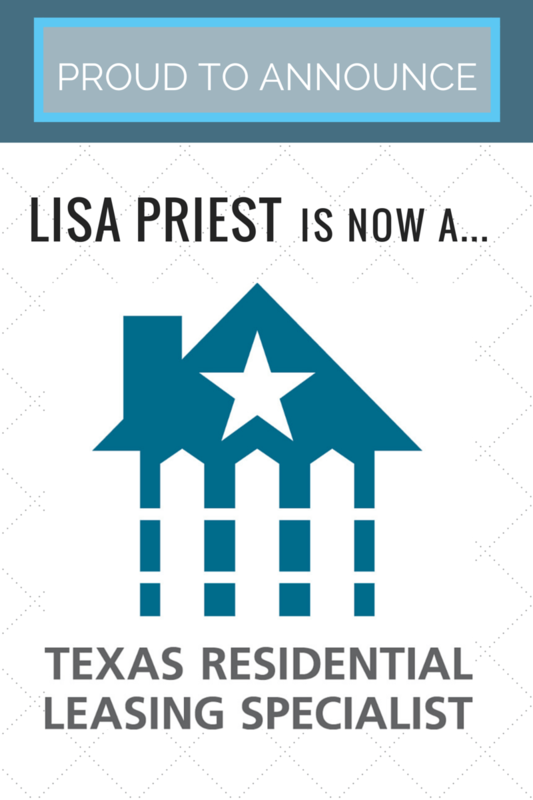 Lisa Priest now holds the Texas Residential Leasing Specialist (TRLS) designation from the Texas Association of REALTORS®! Landlords and tenants want the services of a real estate professional who understands their needs and can guide them through the process of leasing or renting out their property. The leasing and management of residential properties continues to become more complex and I love to stay current on trending topics in Real Estate, especially property management.